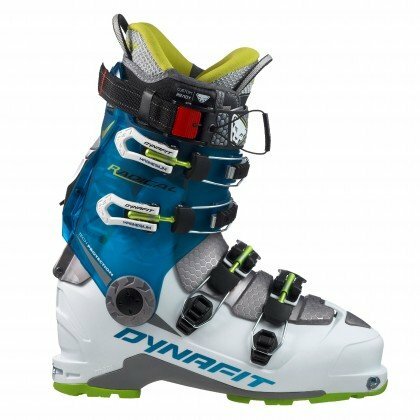 A four-buckle polyurethane ski touring boot with the best downhill performance offered by any comparable boot on the market. Descent-oriented ski mountaineers will be thrilled to take on longer tours with this boot. The new Radical offers technical solutions of the highest niveau. 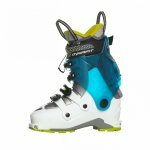 You get a progressive flex with outstanding performance on the descent at a weight normally only seen with Pebax or three-buckle boots. And you get all of that at a more affordable price. 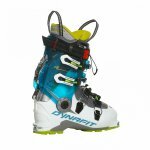 Compatible with all ski touring bindings currently on the market. This version is available with the new Custom Ready liner designed to provide immediate comfort, thermal insulation and enhanced durability. The low profile and soft material adapts excellently to the anatomy of the female foot. Motion Lock System: Makes transition from ski mode to walk mode even easier and more intuitive.